Few months ago, my sister in law bought some Dried Fritillaria from overseas. We were told that Fritillaria (川贝) are efficacy on moistening lung and ease cough. 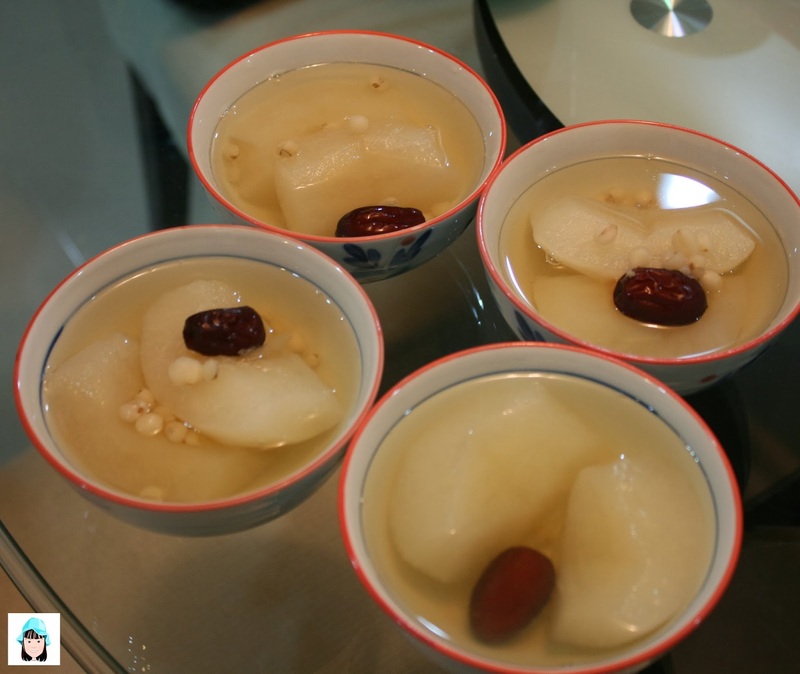 My sister in law told us to cook it with snow pear. Since my daughter and I were down with cough, we decided to give this a try! Basically it was very easy to prepared. If you got all the ingredients in hand, you can savour this desserts in less than an hour. 1. Wash the snow pears and peel off the pears and cut into pieces. In my case I cut into 8 pieces. 2. Then wash the red dates and dried Fritillaria. 3.Put all the ingredients into a pot filled with water. Don't forget the rock sugar as well. 4. Boiled for 30 minutes in medium heat. Served Hot. Note: It is actually best if you cook it in double boiler way. Put all ingredients into a pot filled with water. Actually Fritillaria is also good in nourishing lung and moistening lung. So if you are not down with coughing, you still can have this dessert. You can cook this to all your family members.